The faucet has always been a focal point of the bath, but these days manufacturers have upped their design game with products that add excitement. Faucet finishes—which is now trending toward brushed brass, nickel, and black—get a fair amount of attention. Design, however, is making a big splash. Brands such as Fantini, Brizo, and Kallista by Kohler are introducing groundbreaking designs that demand attention. 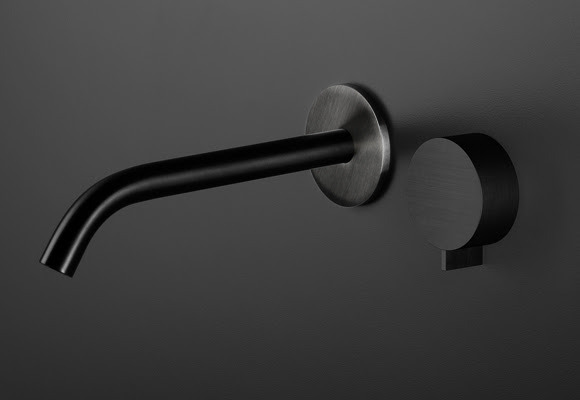 Kallista, for example, earlier this year unveiled the Grid Collection which includes the company’s first 3D-printed sink faucet. “Intrigued by the fundamentals found in the De Stijl movement and how it embraced the de-massing of a design has always sparked my imagination as to how it all comes together,” explained Bill McKeone, design studio manager at Kallista. Another faucet manufacturer making bold overtures is Brizo. 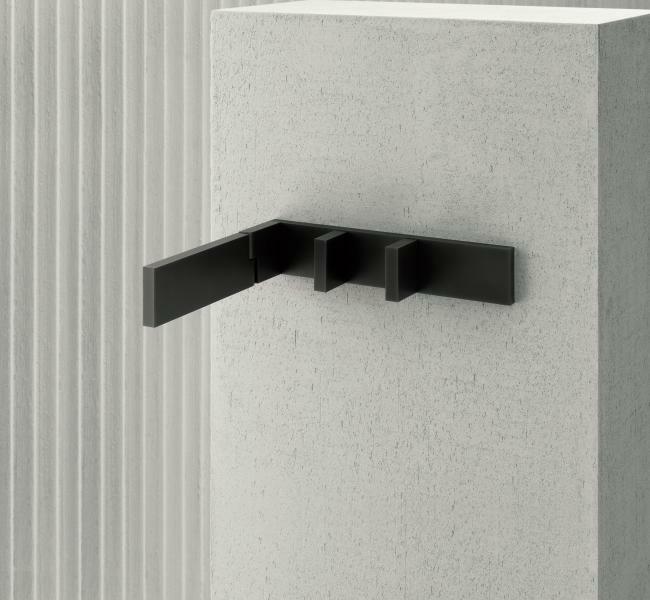 Recently the luxury offshoot of the Delta Faucet Co. has introduced the first concrete faucet as well as Bauhaus-insoired collection called Litze. 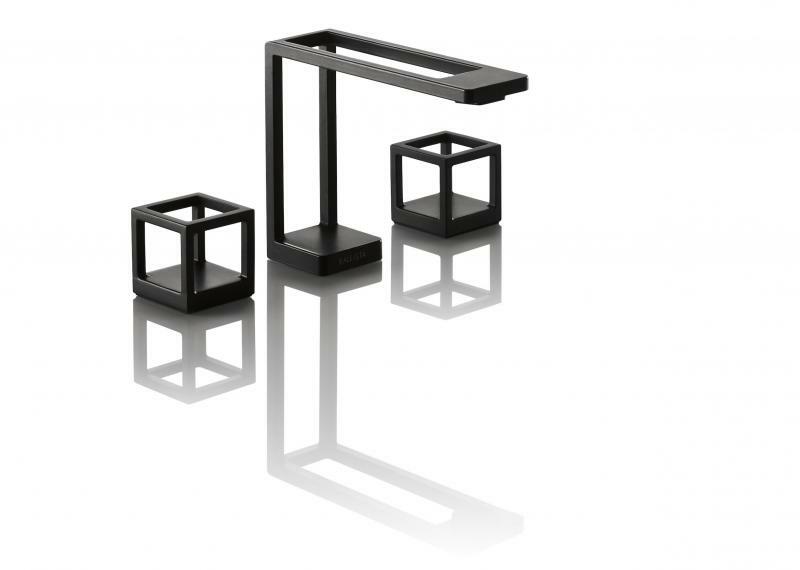 “The starting point for this collection was simply to create a clean, modern design, but Litze turned out to be much more than that,” says Jordan Bahler, Brizo industrial designer. “Equal parts artisanal and raw in style, the collection delivers an unexpected edge by highlighting the elegant side of those concepts, making them feel new, modern and energized." 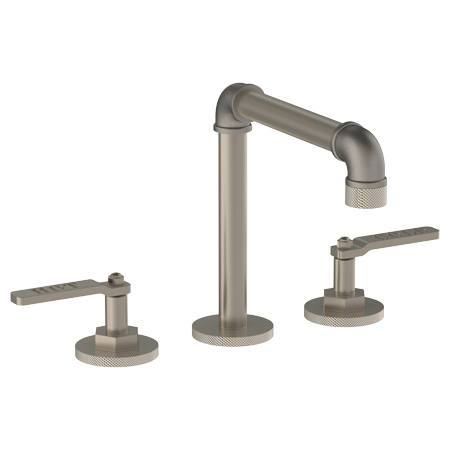 One reason lavatory faucets tend to be more audacious is because of the nature of the replacement market, says Home Innovations Research Labs in its most recent trend report. No matter what faucet design you choose, there are still things to consider. Faucet finish, for example, is still a big part of the design story. These days, nickel and bronze have doubled and tripled in popularity, while chrome has fallen to nearly half its previous market share, Home Innovations says. Additionally, gold-colored finishes—such as brushed brass—and matte black are making serious in-roads. 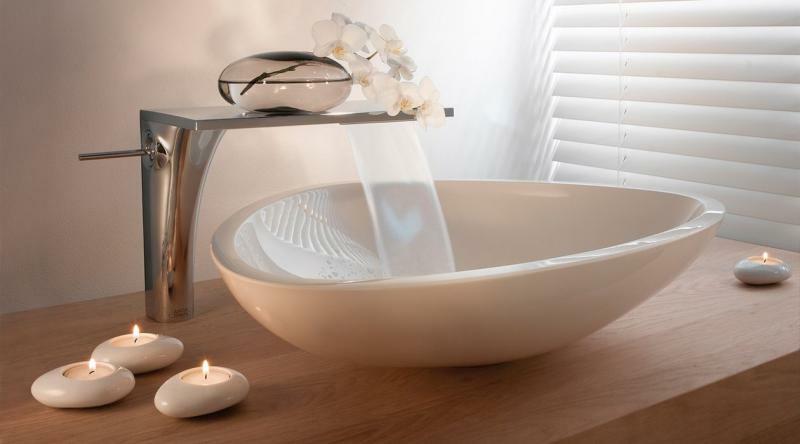 The Axor Massaud collection perfects the bond between man and nature, the company says. Inspired by natural elements, the waterfall-inspired unit is available in a variety of finishes, including Polished Black Chrome and Brushed Gold Optic. Like most manufacturers, the brand is adding black finishes to its repertoire. This version offers resistance so fingerprints and watermarks and is less visible than on stainless steel or polished chrome. 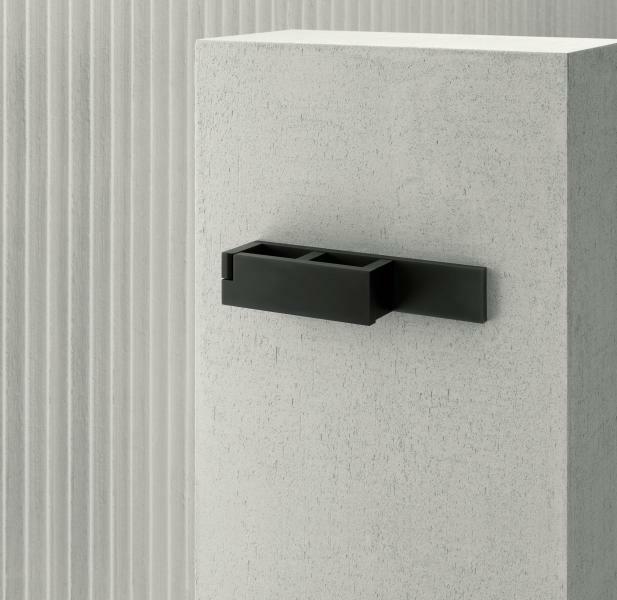 Inspired by the De Stijl movement, the Grid faucet is manufactured using 3D print technology. The form is developed through a layer-by-layer process of powdered steel that is then laser fired to liquid and cooled before another layer is added until the form is complete. It comes in a matte black finish. The Litze collection takes inspiration from fine arts and architecture. 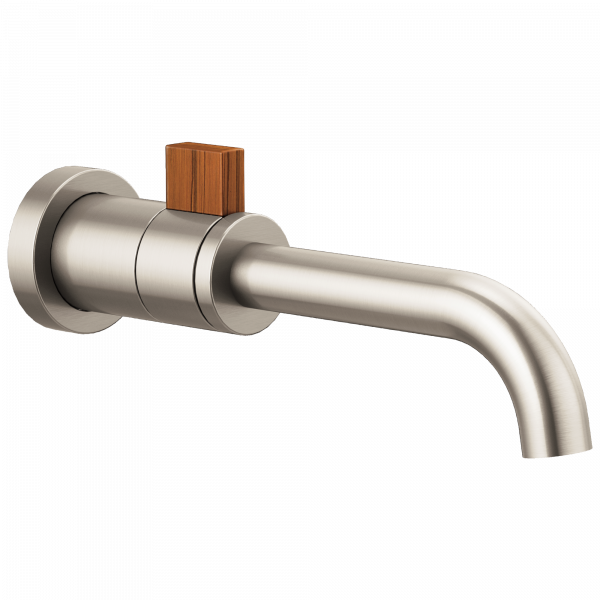 Shown with a teak wood handle, the unit features ceramic disks, a curling texture detail on some units, and a hidden water-efficient, laminar flow aerator. The Edison Bridge faucet strikes a decidedly industrial tone. Inspired by industrial steam pipes, the solid brass product features sleek wheel handles to control the temperature and water flow. 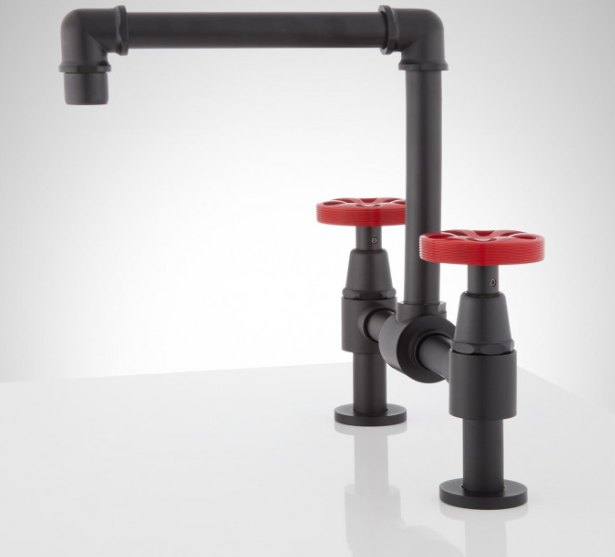 Elan Vital is an industrial-inspired collection that harkens back to the days of pipe valves. It’s shown here in a deck-mounted extended spout lavatory set. The AK/25 is the new product from a new collaboration between Boffi + Fantini. Conceived by the late Korean designer Paik Sun Kim, the collection consists of angular fixtures with a flat articulating head and matching handle. It comes in a Matte Gun Metal PVD finish. 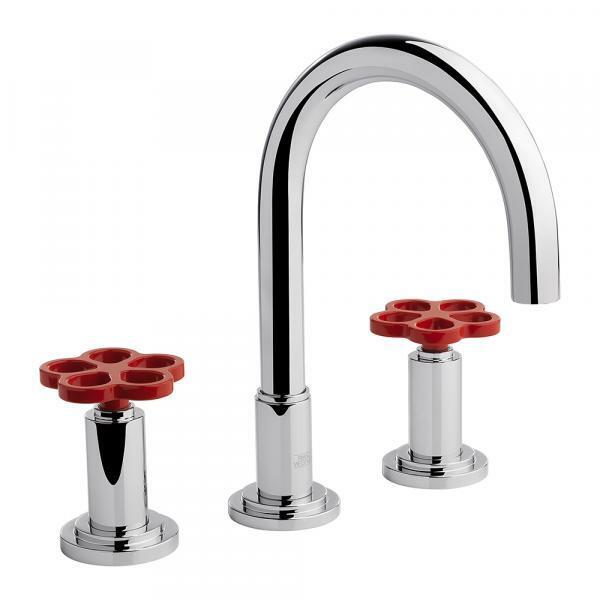 Industrial Chic features a classic curved spout complements but playful handles that are available in polished chrome red handles, brushed nickel red handles or black chrome red handles. Other finishes such as oil rubbed bronze, brushed nickel, and rose gold are available. The manufacturer says Vibrato is the first commercially available residential faucet created with 3D printing. 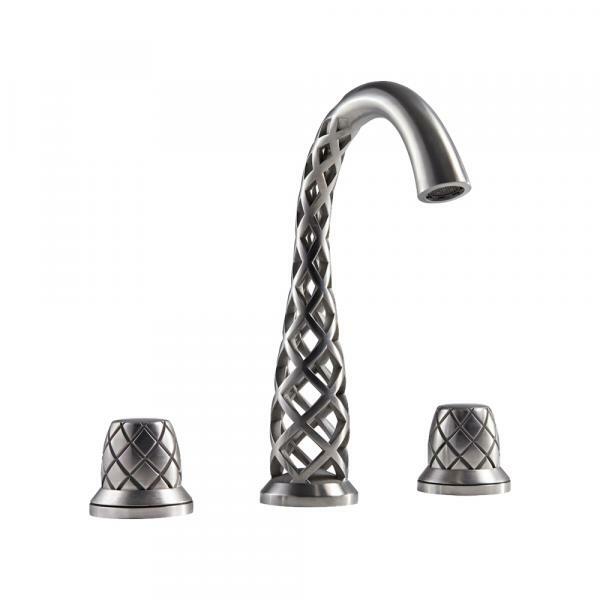 It features a weightless lace design that’s rendered in metal and creates the illusion that water magically and mysteriously appears from the faucet.